Everyone faces challenges at certain times in their life and can benefit from the opportunity to talk things through in a confidential and supportive space. As an approachable and skilled practitioner, I can help you to feel heard, gain understanding, build confidence and skills and find solutions and new perspectives to the difficulties you face. I am based in Surrey and offer sessions in clinics in Leatherhead and Banstead. I also offer Skype and telephone consultations. 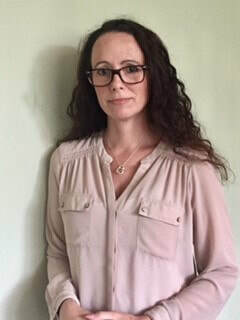 I am a Chartered Counselling Psychologist and Mindfulness teacher with over a decade of experience working with adults in mental health settings in the NHS and in independent practice. Throughout my career, I have supported a great many people who have struggled with a wide range of mental health difficulties or who have needed a supportive space to work through a particularly challenging time. I have experience of working with individuals, couples and families and of running psycho-educational and therapy groups. I work with people with difficulties including depression, anxiety, Obsessive Compulsive Disorder(OCD), Post Traumatic Stress Disorder (PTSD), phobias, Personality Disorders, Bi-polar Disorder and a range of other difficulties. I offer supervision to other psychologists and trainees and have provided training in a range of healthcare, education and corporate settings. I have a Doctorate in Psychotherapeutic & Counselling Psychology (PsychD) from the University of Surrey. 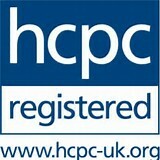 This course is accredited by the Health and Care Professions Council (HCPC) and the British Psychological Society (BPS). I have a first class honours degree in Psychology (BSc Hons) from the University of Bristol. I have attended a range of other training courses including in Eye Movement Desensitisation and Reprocessing (EMDR) (parts 1-3) with Richman EMDR Training and Mindfulness teacher training with Bangor University.